Alan Thirtle loves his job on the Thames Tideway Tunnel project but says he never would have got there without the help of H&F’s WorkZone. 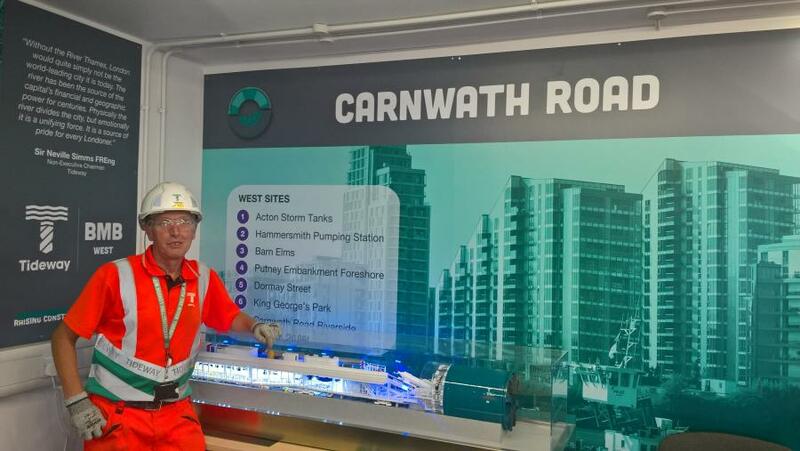 Alan, a former painter and decorator, is based at the Carnwath Road Riverside works site in Fulham, driving a van there and at other Tideway sites in West London. When Alan found himself unemployed he was directed to a course created by H&F WorkZone. The two-week course run by City of Westminster College gave Alan the qualifications he needed and the chance to meet his employer. Hammersmith & Fulham Council funds the courses and other schemes to get people into work by using money which is negotiated from developers when they are granted planning permission.